Healthy You: 10 ways to be happier and feel better! Who doesn’t want to be happier? Especially with the weather as of late, we can find ourselves a little down and out. That feeling of tiredness, exhaustion, and irritability can be fixed. According to a recent article featured on Self Magazine’s website, here are 10 ways we can become happier and feel better. This concept sounds so simple, but for most of us- we are used to living under a ton of stuff. Start with your work-space, move onto your closet, and finish in your kitchen. Surely you have memos, papers, and old paper clutter that could use a trip to the recycling center. A clean work-space is a happy work-space. It will be spring, sometime soon- I promise! If you haven’t already done so, clean out those winter clothes and replace them with spring ones. Don’t stop with your closet- head straight to the kitchen. Get rid of old junk food and scrub your fridge. You might be surprised on how much expired food and nasty grime is in there. 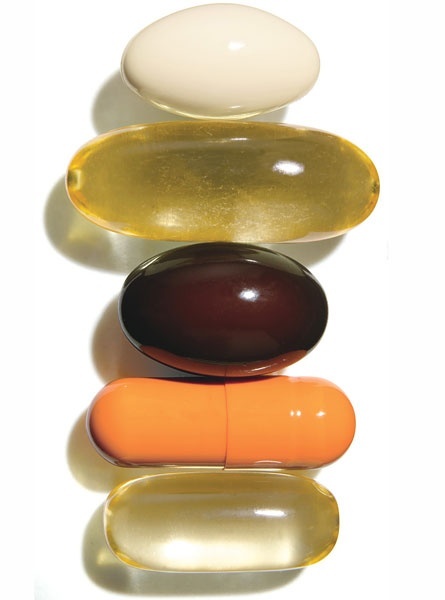 Research has shown that especially women need their vitamins. Even if you eat a well rounded diet, chances are you are lacking in somewhere. Overtime, this could take a toll on your body and overall well being. Such a simple lifestyle change can make a big impact on how you feel. Your body is mostly made from it. No wonder why you need 8-10 glasses a day. Water not only keeps your digestive system at top performance, it also does wonders for hair and skin. 4. Don’t be a whiner! Complaining and whining will get you no where. If something is not going the way you want it to, make the changes. Dwelling on something or feeling sorry for yourself will not make you feel good. Be the change you are seeking, this will make you happy. 5. Operate like a machine! Well not really, but have a routine. Knowing what to expect and what to accomplish will help you stay on task. When you complete everything in a day you are needing to you feel accomplished. Accomplished people are happy people. Exercise not only makes you look good, it actually makes you happy. Moving your body releases endorphin’s which are the happy chemicals in the brain. Plus, if you look good – you feel good. Sugar is sweet but will not make you sweet! Eating good healthy food will maintain regular blood sugar levels and will keep your mood in check. Over eating makes you feel icky and full. Sugary over-processed foods on the other hand might give you an instant “energy” boost but will make you crash hard very fast- making you feel bad. 8. Get your 8 hours! A grown adult needs at least 7-9 hours of sleep each night to function well. If you are getting less than that, of course you feel groggy and irritated! Your brain literally cannot function on little or no sleep. If your well rested you feel better, look better and are then happier. Each day do something that makes you smile. Maybe take a quick walk outside or laugh at a funny Facebook post. No matter what it is, do something you enjoy- even a little bit. The act of laughing alone will brighten your mood and make for a happier day! Love is the best thing you can do to brighten your mood! Even if you don’t have a significant other: Love your pet, love your friends, love yourself. Love will surely increase your mood and make you feel better. Love is also contagious- it will make the recipient of your love feel better too. Who doesn’t love to be loved? Follow these simple, no fuss ways to be happier and feel better! In no time, the sun will be out (and warm) and there will be color outside. This entry was posted in Newly Engaged, Planning, Traditions, Uncategorized and tagged Creative, Feeling good, Ideas, Looking your best, Planning, Preparing for the big day!, wedding memories, wedding planner by Affairs by Brittany. Bookmark the permalink.